It's a common question we get at Cardenas Hats — and it's a great one! After all, you want your cowboy hat to last a long time, and look good while doing so. Keeping up with your cowboy hat's maintenance is a key component to that longevity. As our hats are made from high-quality wool felt, our hats can remain in top form for a long time to come, with just a little bit of regular maintenance and care. Because cleaning primarily involves brushing the hat, it's important that you start off with the best tools. If you have a dark-colored hat, it's best to use a brush with dark bristles; conversely, light-colored hats should use lighter brushes, preferably with blond bristles. 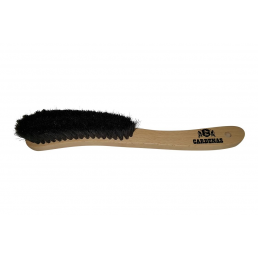 Cardenas Hats Brim Brushes – in Black and Blond. Brush the top and bottom of the hat with a soft, bristle brush using a counter-clockwise motion. Start on the top-front, left side of your hat and work your way around the hat. 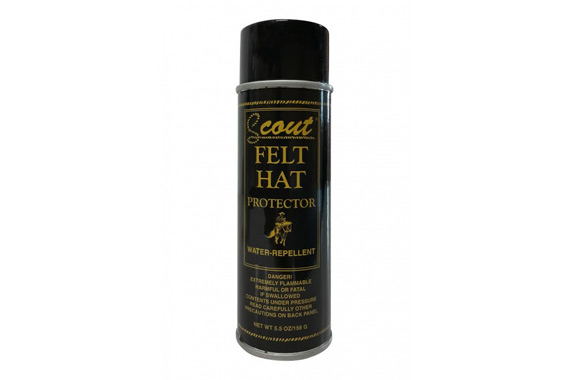 You can also 'up' your hat-cleaning game by using Scout Felt Hat Cleaner. Be sure to follow the instructions on the product, and select the cleaner needed for your light or dark hat. 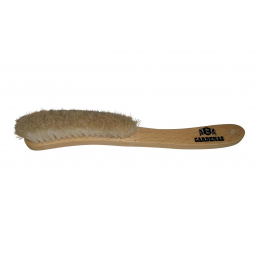 Additional Tip: Lightly moisten a toothbrush with water and mild soap and rub the band gently. Be careful! Don't get the actual hat wet. Blot/Pat dry and turn the sweatband down and let it continue to dry naturally. You should always start with a dry cowboy hat before starting to clean your cowboy hat; however, that's not always possible. If your hat does get wet, shake off the excess water and let it dry before lightly brushing the hat clean. Turn the sweatband down and let it dry naturally. Doing this will let the sweat and oils from wear to evaporate in the air. Do not apply any artificial heat to the hat! • Use a light-colored brush for light-colored hats. • For persistent lint, pat your hat with the sticky side of masking tape (or similar). • If you use a Scout cleaning product, make sure it's designed for the color of your hat. Wool felt hats are best used in drier climates. But with North American weather patterns growing increasingly erratic, we know that's not always going to be possible — even in the driest U.S. cities. That's why we still believe that the best defense is a good offense. 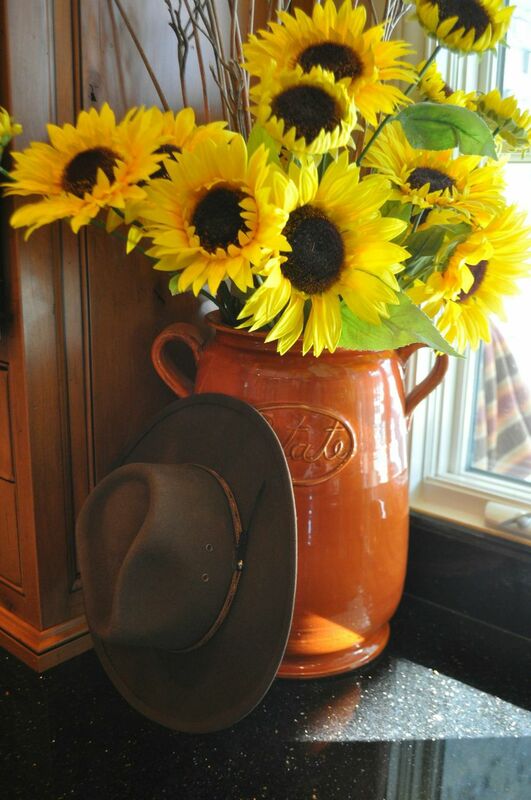 To help with that strategy, Cardenas Hats offers Scout Rain & Stain Felt Hat Protector. Following directions and using regularly, this a quality protectant is guaranteed to enhance your cowboy hat's ability to repel water and resist stains.